British Airways has launched its new long-awaited business class seat. The ‘Club Suite’ will offer enclosed suites with a door, industry standard flat-bed seats, direct aisle access with a 1-2-1 seat configuration. The seat will also feature 18.5-inch inflight entertainment screens, high definition gate-to-gate programming, and PC / USB power. The Club Suite will first feature on the airline’s first Airbus A350 which is due to be delivered in July. The aircraft will feature a 56 seat Club Suite cabin. The first flights with the new product will be between London and Madrid. 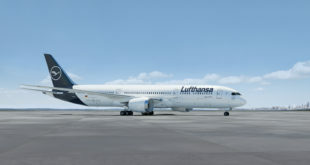 Following which from October 1, 2019, the aircraft will begin long-haul flying. During this time British Airways will add another three A350’s to their fleet and two 777s will be retrofitted with the new cabin. From 2020, the airline will begin retrofitting more of its existing long-haul fleet with the Club Suite. The airline’s current business class product is ancient and was in desperate need for replacement. The new business class product looks fantastic and we hope the airline rolls it across their fleet quickly.